Group Mobile has recently extended its product offerings to include the new Xplore XSLATE B10 fully rugged tablet. 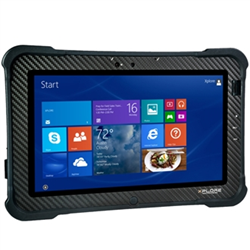 The XSLATE B10 is one of the industry’s most featured, fully rugged tablets to date. After spending a day on the job with the XLATE B10, you’ll understand why this truly mobile, fully featured tablet PC sets a new standard in ruggedness and connectivity," said Mark Holleran, Xplore Technologies President and COO. Group Mobile, a premiere provider of the top brands in rugged laptops, rugged tablet PCs, rugged smart phones, and rugged handheld computers has recently extended its product offerings to include the new Xplore XSLATE B10 fully rugged tablet. The XSLATE B10 is one of the industry’s most featured, fully rugged tablets to date. The Xplore XSLATE B10 is powered by the latest Intel Core i5-535OU 1.8GHz processor, 8GB RAM, and a 128GB solid state drive. An Intel Core i7 processor is available as an upgrade, as well as 256GB solid state drive. Comprehensive standard I/O features include two USB 3.0, micro SDXC, micro SIM card reader, micro HDMI-out, RS-232 serial-ready port, DC power, and headphones/speaker mini-jack stereo. Integrated options for CAC, NFC, and 1D/2D scanner, give the B10 the flexibility to meet exact user needs. A multi-modal communications suite, including 802.11ac WLAN, Bluetooth, GPS, and optional 4G LTE mobile broadband, enables real-time data transfer and uninterrupted communications for field workers. Other integrated features include front and rear cameras and a fingerprint scanner. The XSLATE B10 rugged tablet is a reliable and versatile tool for mobile workers in demanding markets such as telecommunications, utilities, manufacturing, transportation or distribution. The XSLATE B10 tablet includes a Wacom pen digitizer and active pen, the xCapture Pro camera application and an optional integrated barcode scanner. The XSLATE B10 has optional accessories including a removable companion keyboard, office or vehicle docking stations, kickstand, a second hot- swappable battery to extend system runtime to 20 hours, and 2-bay or 6-bay simultaneous battery charging options. The XSlate B10 is remarkably rugged for such a lightweight tablet. It meets MIL-STD 810G and IP65 standards for durability and protection against dirt, dust, water, motion, vibration, temperature, and other factors that would quickly damage a commercial-grade tablet. The tablet can start up in temperatures as low as -4 degrees Fahrenheit and operate in temperatures as low as -30 and as high as 140 degrees Fahrenheit (-20 to +60 degrees Celsius), enough for virtually any conceivable deployment. The Xplore XLATE B10 rugged tablet can be ordered from Group Mobile today. 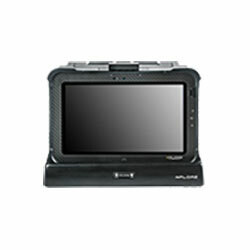 To learn more, visit: http://www.groupmobile.com/product.asp/sku=7822/dept_id=/mf_id=19/Xplore+XSLATE+B10+Rugged+Tablet.html, or call toll free 866-RUGGED8 (1-866-784-4338). Headquartered in Phoenix, AZ, Group Mobile serves customers all over North America. Customers range from Fortune 500 companies and the U.S. Military, to local police/fire/ambulance, to small and mid-size businesses, to the frequent traveler that needs something more durable than a commercial, off-the-shelf computer. Group Mobile carries all the leading rugged computing brands. In addition, Group Mobile offers vehicle docking and mounting equipment]. To learn more about rugged computers and how they differ from commercial, indoor computers, check out the Rugged Computer Guide or visit us online at http://www.groupmobile.com.